With more than 1,000 fab LEGO® Friends stickers, this fabulous LEGO sticker book is a must-have for young fans. Packed full of stickers and fun facts about all your favourite LEGO Friends - Mia, Emma, Andrea, Stephanie and Olivia - this LEGO Friends Ultimate Sticker Collection is perfect for all young fans of LEGO Friends and their adventures in Heartlake City. 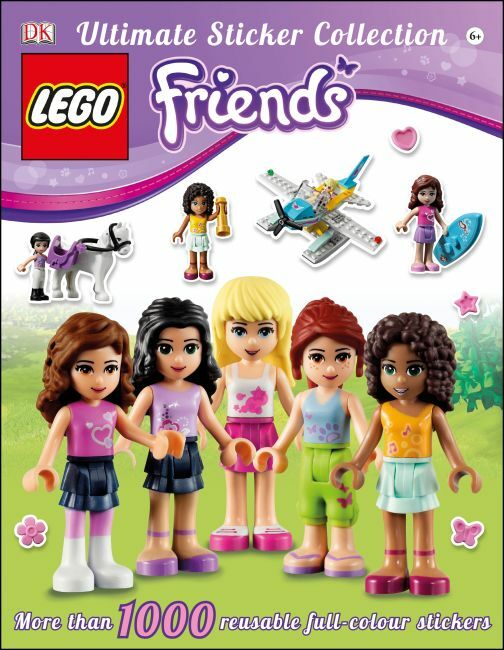 Including more than 1,000 fun stickers of the minidoll characters, plus information about their likes and dislikes, accessories, pets, favourite places and more, the LEGO Friends Ultimate Sticker Collection is a great introduction to the world of LEGO Friends. Descriptions and storylines give you bite-sized facts about the world of Heartlake City, match your sticker to the story and learn as you go! LEGO Friends Ultimate Sticker Collection takes you straight to the heart of Heartlake City for fun, games and, of course, stickers!